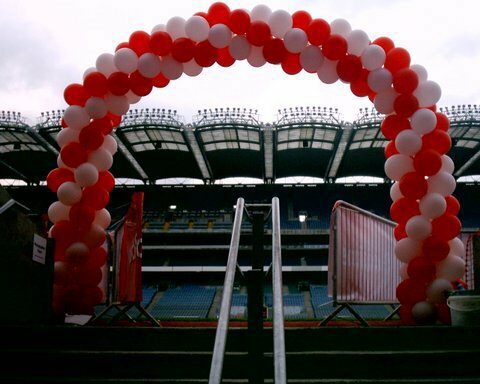 Over the last 20 years Balloon Events have become one of Ireland’s leading party and corporate decorating companies in Dublin. We have been decorating balloons for every type of event from the Corporate Themed Events to BBQs, Exhibitions, Nationwide marketing campaigns, product launches, birthday celebrations, engagement parties, retirements, christenings, bar mitzvahs and so much more Nationwide. We have created Balloon Arches, Balloon Drops, Balloon Sculptures. You name it, we at Balloon Events have created it! At Balloon Events, we have created stunning balloon displays for both high profile blue chip companies and private clients. We strongly believe that each client should have the highest service from us, and at all times be it Balloon Printing, special party packs, Balloon arrangements for your wedding or private party or Banners & Bunting through to your corporate themed event we will offer you an individual tailored service. Our challenge to you is to Challenge our creativity, you will not be let down!